Ranked in the worlds TOP of BEST Survival Experts. 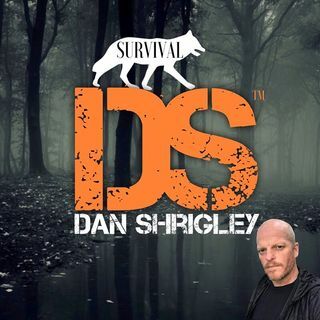 Daniel Shrigley uses the radio platform to teach, coach and mentor publicly about critical skills needed in full spectrum survival. From risk mitigation and safety management, primitive survival skills, modern sciences in the current age. He discusses proper preparation and planning for ... See More wilderness activities. Preparation for self-reliance and the psychology of survival. Bring focus to the priorities, fundamentals and education needed to thrive in a survival situation. Dan expands on a persons own creativity combined with education to deliver the best possible outcome when in a true real world survival situation. He offers tips and tricks obtained over a space of 30+ years. He is a 18 year combat military service veteran. 42 months of combined service in hostile conflict deployed in battle with the US Army as a 19D24 Non-Commissioned Officer. He is a advanced leadership Academy trained professional expert with, military tactics, weapons and chemical, biological, radiological and nuclear warfare (CBRN) and served as an adviser to his military chain of command. He is an expert; educator, mentor, coach, public figure in the survival services industry and recognized globally. Dan posses a common core value on subject matter related to this platform that exceeds that of any other published or broadcast-ed. Dan is the creator/host of Survival Trek Escape and other outdoor survival and adventure film projects. He is the Field Producer for Capriole Productions Inc., providing survival and safety services and advisory roles. Dan worked for six years in public safety for Personal Protective Services Inc., Intervention Agency Inc.. Combating high crimes and misdemeanors on the streets of the San Francisco Housing Authority Projects, Oakland Low Income and contracted properties as an Armed Patrolman.